Gold Star for the Internet: Juniper Books – Zoë Lance. 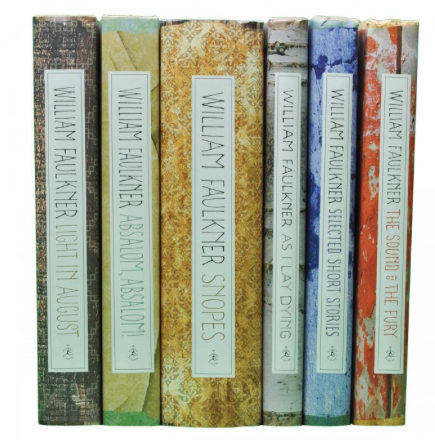 So I’ve been looking for a pretty copy of William Faulkner’s Absalom, Absalom! (because of reasons), and in my periodical search for the perfect one today I stumbled across Juniper Books. My life (and probably yours too) is officially ruined. Must. Procure. Faulkner. Set. Take all of my money. Juniper Books is a bespoke specialty bookseller in Colorado, but seems to be mostly web-based. 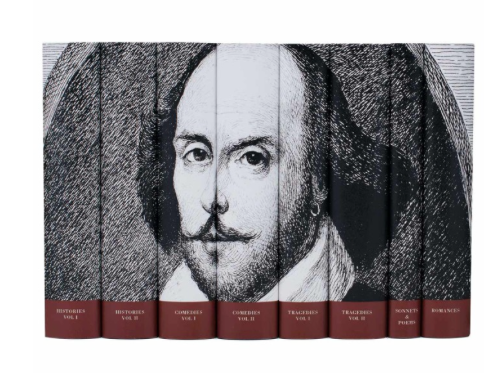 It sells beautiful versions of beloved classics, and offers a billion custom options and bundles. 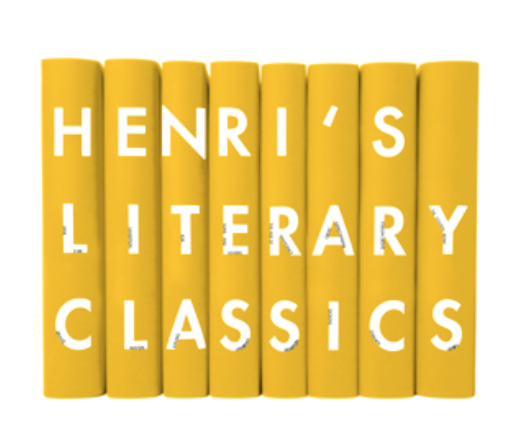 They do sell the Penguin Classic editions like you see in Barnes and Noble, but their own offerings are miles ahead. One of the things Juniper Books can do for you is help you build your own custom collection — I’m sure it costs a fortune, but man, #goals. You can also get bookplates put in and change the color of the fabric. It is too damn rad. I have to go lie down. It’s kind of like Folio Society, but I like Juniper Books’ vibe a lot more. There are a few author sets that I’m partial to, and I’m thinking about giving one of the custom bundles as a gift. I have a huge Riverside Shakespeare filled with notes and scribbles that has seen much better days, but dang I would like this too. I think what I love most about a business like Juniper Books is that they are helping to preserve an incredible art form. Instead of building websites or curating social media accounts, people used to make beautiful books. You can see these books in museums and private collections, but I’m still skeptical about whether or not the Internet will be preserved. I’m guilty of having more paperbacks in my bookcase than hardcovers based on convenience and price, but I can appreciate books like these as pieces of art. With the advent of e-readers, there’s even less of an incentive now to pour money into physical copies of books. However, buying a collection from Juniper Books, for example, is making an investment you can be proud of. You’re not only investing in your own collection, but in the future of the industry. For all of those reasons, I’m giving them a humongous gold star. I’ve always been interested in book-making, but haven’t had the tools to do so. After spending the afternoon browsing the website, I’m thinking about making it happen. In the meantime, hope for me that they’ll respond to my message about whether or not they can customize Absalom, Absalom! Do you know of any bespoke booksellers like Juniper Books? Let’s talk about it in the comments.